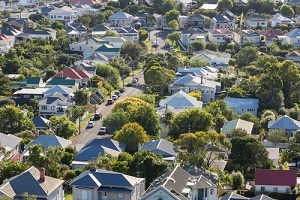 A suspended lawyer and a former BNZ staffer, who denied their involvement in a $54 million mortgage fraud scheme, have been sent to jail for longer than the scheme’s instigator, who admitted to his offending in December. Gang (Richard) Chen has been jailed for six years, and Zongliang (Charly) Jiang four years and nine months. Following a three-month long trial that ended in June, a High Court judge found them guilty of playing different parts in a scheme to trick banks into thinking they were writing loans for residential property, when the loans were actually used by the company LV Park to develop commercial property in Auckland and Hamilton. The aim was to secure home loans with lower interest rates than business loans. The mastermind behind the scheme, property developer Kang (Thomas) Huang, was in February jailed for four years and seven months. His wife, Kang (Jenny) Xu, has today also been sentenced to 12 months’ home detention on 22 charges of ‘Obtaining by deception’. During the trial her lawyer argued she played a “subservient” role in the property development business, with her husband concealing the fraudulent aspects of the “finance arrangements” from her for “cultural reasons”. However the Court found she was aware of and actively involved in the criminal offending. Suspended lawyer, Chen, acted as a solicitor in the sale and purchase agreements and facilitated the payment of bribes to bank employees. He was convicted on nine charges of ‘Obtaining by deception’, two of which were representative charges, and one representative charge of ‘corruptly giving consideration to an agent’ under the Secret Commissions Act. Jiang facilitated the loans in return for bribes when he worked at BNZ. He was convicted on 25 charges of ‘Obtaining by deception’ under the Crimes Act and one representative charge of ‘Acceptance of gifts by agent’ under the Secret Commissions Act. A former ANZ employee was also involved in the scheme but left the country in 2015. SFO director Julie Read says, “The sentences imposed today reflect the very serious nature of offending, which relied on a high level of calculation and collaboration. “Such fraud undermines lenders’ confidence in borrowers in the mortgage market. “The banks were misled in a number of respects including the financial position of the purported borrowers and the level of associated risk. For more on this case, see interest.co.nz's coverage dating back to February 2017. If you work out how munch money they must have laundered divided by the time in prison (they'll get out early) it's a pretty good deal. And the lady on home detention must be horrified. 12 Months in a nice warm million dollar property with access to broadband internet, pizza hut. Awful. Well yes I agree, and they only serve 1/3 of those sentences. “SFO director Julie Read says,The sentences imposed today reflect the very serious nature of offending, which relied on a high level of calculation and collaboration". His wife, Kang (Jenny) Xu, has today also been sentenced to 12 months’ home detention on 22 charges of ‘Obtaining by deception’...the Court found she was aware of and actively involved in the criminal offending. So Kang (Jenny) Xu was actively involved in the crime and received 12 months watching telly at home while her husband received 4 years in jail. Sounds a little easy on her. I bet she’s now fluent in English. No wonder why business confidence is running low in this country. These investors have borrowed money, did their business and repaid almost the full amount; and now they are punished ... Oh well....God defend New Zealand !! True, whoever would think honesty and integrity should be a part of business dealings eh! Outrageous! Can't you see how asymmetric the risk is for NZ? In a rising market all sorts of evilness can be got away with but once things turn, absolutely huge losses will occur. So it should be stamped out. Hard. Seize assets. Deport. Why waste cash on detention. Because we are stuck with them and rarely deport for crimes, especially as low on the justice radar as criminal fraud. Short sentences and a bit of RnR at home in mansions is the order of the day. why deport, are you referring to the names, are you sure they are not third generation kiwis bought up in our society and business environment and learnt our laws and ethics of doing business here. surely the did not come from somewhere where corruption bribes and cheating the system is the normal practice and realize even if caught we have a weak regime with a bucket load of wet bus tickets. Sharetrader, exactly and I would say they have no remorse as the risk vs reward here seems well worth it. Its every man and woman for themselves in that culture and this is another example of that.